After finishing her PhD, Aurelie Sicard has worked as a post-doctoral researcher for VOX-Pol. 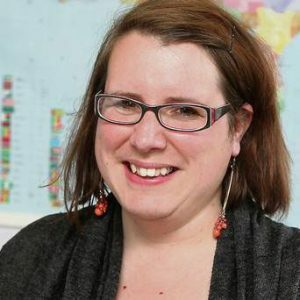 She is now the Project Manager for the Ireland India Institute, and is a current administrator for the Institute for International Conflict Resolution and Reconstruction (IICRR). She is also a post-doctoral researcher and continues to examine the relationship between gender in the context of war and post-conflict reconstruction. PhD Title: Gender Relations in post-conflicts states post UN Resolution 1325, the case of Sierra Leone, available here. 2012 Connolly, E and A. Sicard, ‘China – impacting on OECD donor policy?’, Irish Studies in International Affairs, Volume 23, 2012 (forthcoming).